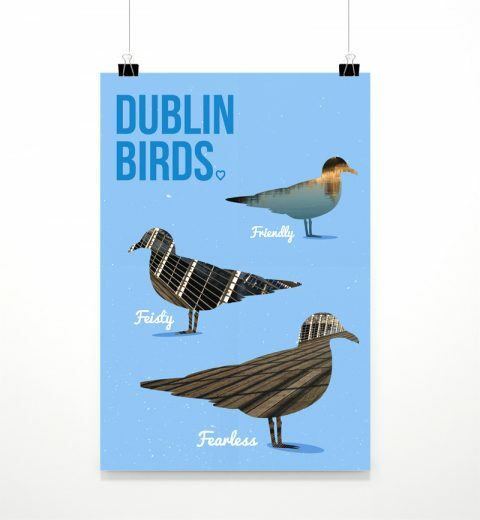 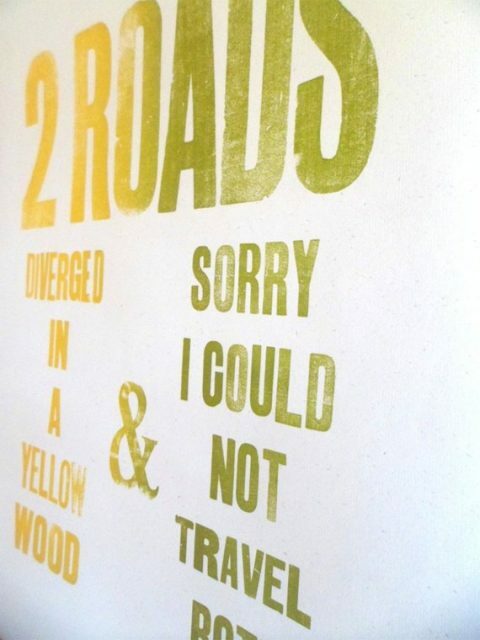 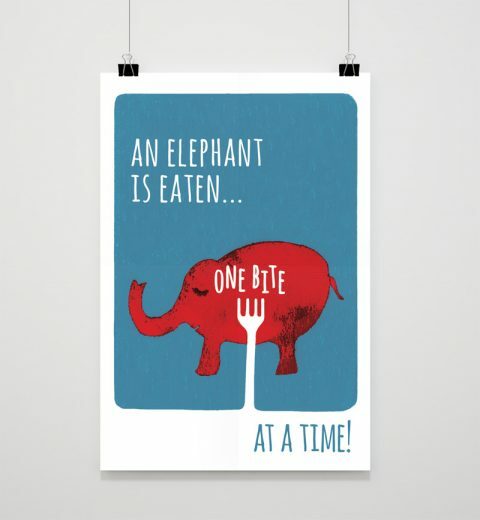 This portrait poster is a humorous piece which is part of a collection called ‘ Dublin Birds’. 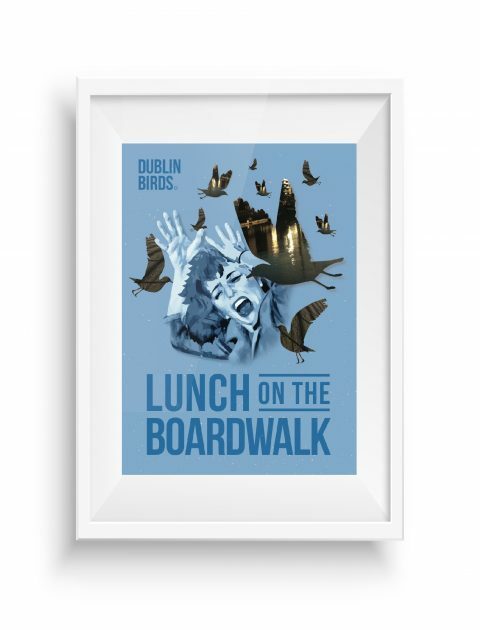 It depicts the famous seagulls which heavily populate Dublin city centre’s boardwalk, along the River Liffey. 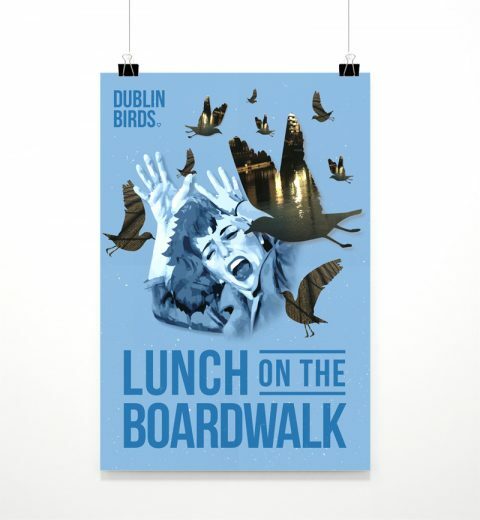 These seagulls are known to circulate people eating their lunches, hoping to get a bite. On this poster, there is a play on the famous Irish / Dublin song, ‘Molly Malone’, changing the lyrics to feature the birds. 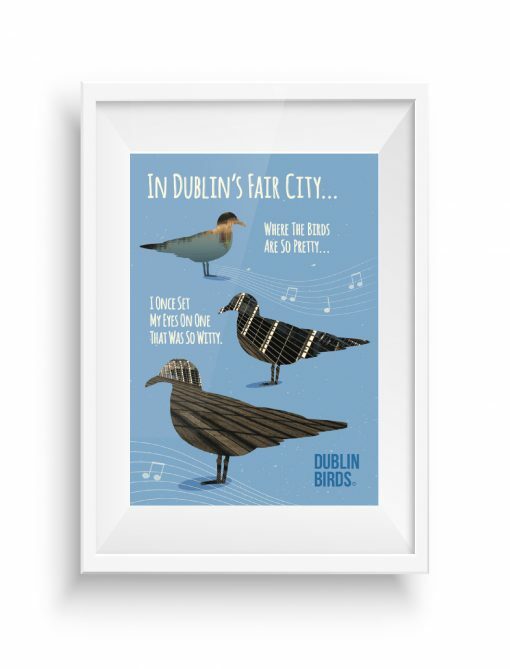 This could be about the seagulls or Dublin girls as it plays on the Dublin slang word for women or girls which is ‘birds’. 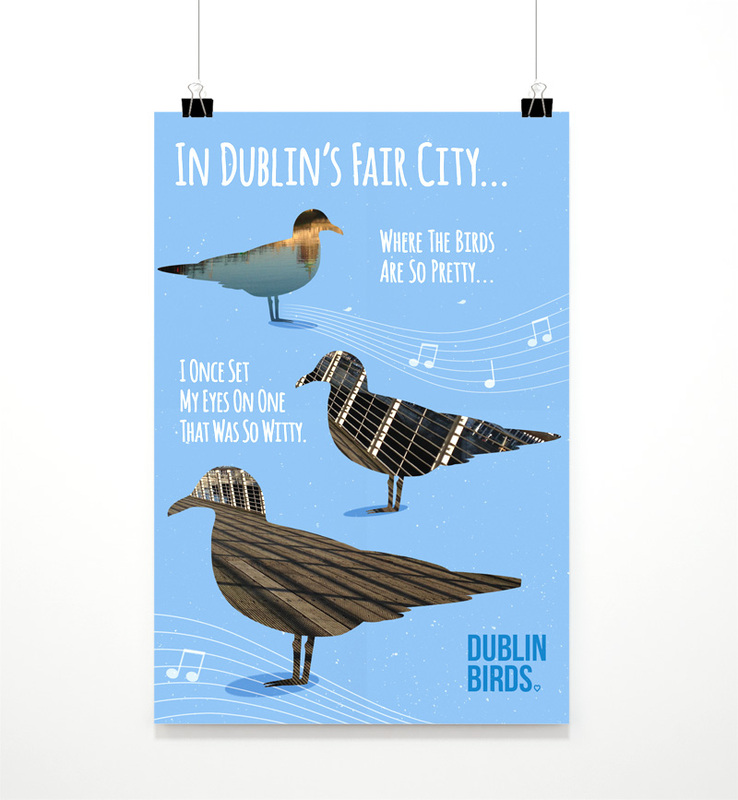 Images of Dublin’s boardwalk and Liffey in the city centre can be seen through the silhouettes of the seagulls. 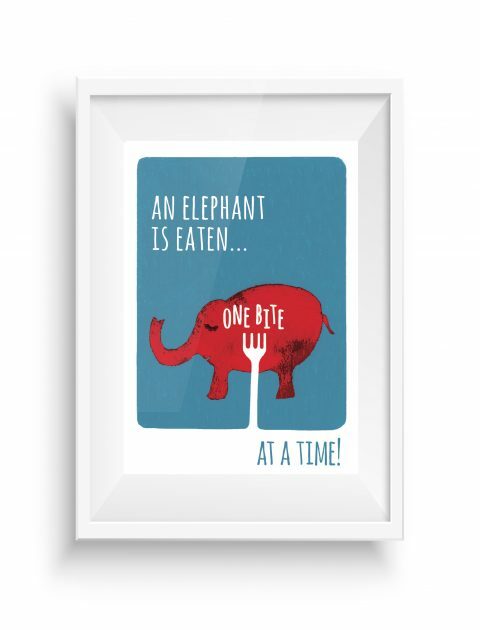 Uses sense of humour.